Chris has written two Dr Who Books (one with Carnell) and two Star Cops Books. Chris Boucher's new Dr Who novel, 'Corpse Marker', is a sequel to the Tom Baker story 'Robots of Death', which Chris scripted in 1976, and Carnell (the psycostrategist) makes an appearance. 'An Instinct For Murder', Chris Boucher's novelisation of the first episode of his mini-series 'Star Cops' is now available in print for the first time. Chris Boucher was script editor for the entire series of Blake's 7 and wrote scripts for both Blake's 7 and Dr Who. 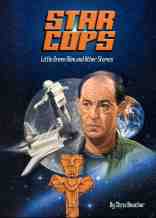 Many people have found points of similarity between Blake's 7 and Star Cops. These similarities show up more in later episodes of Star Cops as more characters are introduced (and Chris is willing to have his second novel also published as a fanzine if there is sufficiant interest in this one), but this first novel is worth reading as an excellent piece of detective science fiction in its own right. 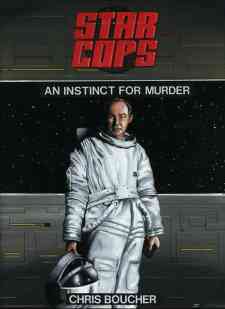 This is the Second set of Novelisations from Star Cops. Tanith Lee wrote the B7 episodes "Sarcophagus" and "Sand." Last updated on 12th of March 2007.